Northern Irish number plates which may be also transferred onto vehicles in England, Wales and Scotland, offer some great value options for hiding the age of your vehicles. These number plates are issued by DVLA. These registrations have different letter combinations (always including an I or a Z) and numbering sequences (from number 1 all the way up to number 9999) from those used on plates issued to vehicles in the rest of the UK. 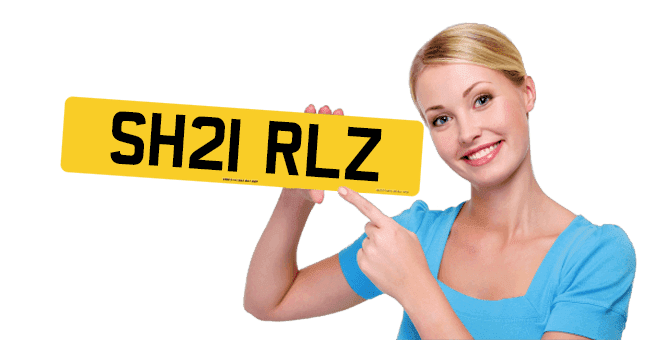 Because Northern Ireland format (commonly known as Irish number plates) registrations are dateless registrations, they can be assigned to vehicles of any age (unlike current-style, prefix numberplates or suffix plates). They have no year indicator whatsoever and cannot therefore be mistaken for those plates which do. They provide the most cost –effective solution to customers wishing to hide the age of their car, bus, or taxi with cover plates. Please click this link to search through our Northern Ireland format (commonly known as Irish number plates) number plates stocklists. Many of our customers are surprised that these Northern Irish plates can be transferred to UK mainland vehicles whereas those from Eire (or Southern Ireland) cannot. This is because Northern Ireland forms part of the United Kingdom and Southern Ireland is a separate European country with its own separate vehicle licensing system. Due to the fact that the UK DVLA in Swansea and the DVLNI in Coleraine, Northern Ireland were developed under separate parliaments, their vehicle registration systems have always been separate (although similar). However in 2014 the DVLNI combined with the UK-wide DVLA so that all vehicle records and registration transfer are now handled by the DVLA in Swansea. Now registration transfers are completed a lot faster and significantly cheaper than they were previously. We are very experienced in these procedures so you can confidently let us take the strain out of this complex process for you. Aside from these minor disadvantages we have many clients buying Northern Irish numberplates every week. They don’t suit everybody so you might like to use the UK mainland plate search areas.